Every month, women from Thumka Women’s Group for Change in Bidur municipality in Nuwakot district gather for their monthly meeting near a chautari – an open resting space – on a hillock. Among the many things that they discuss in these meetings about their community, water shortage continues to be the biggest worry. “Our villages suffer from lack of water as soon as the rainy season ends,” said Gita Rijal, 45, a member of the women’s group. The 66 households in Thumka depend on a 70,000 litre water reservoir for their daily use. The reservoir, which is almost an hour’s walk from Thumka, depends on rainwater and natural springs. The handful of taps – linked to the national water supply – that serve the needs of these households get water for two hours or less in the morning and evening. The small amount of money collected from these households goes into repair and maintenance of these taps and the water reservoir. 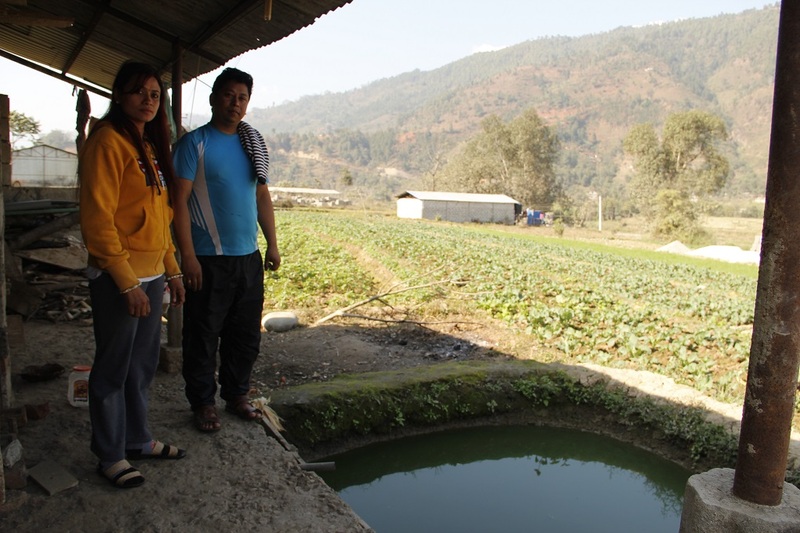 Rijal, who lives close to the reservoir, is in charge of its day-to-day management. During the monsoon when the water gets muddy, it is filtered at the source. However, in the two decades, since the reservoir and the taps were built, there hasn’t been any test conducted to assess the water quality. “Who has the time or the money to check water quality when we are simply trying to survive with whatever we have,” asked Rijal. 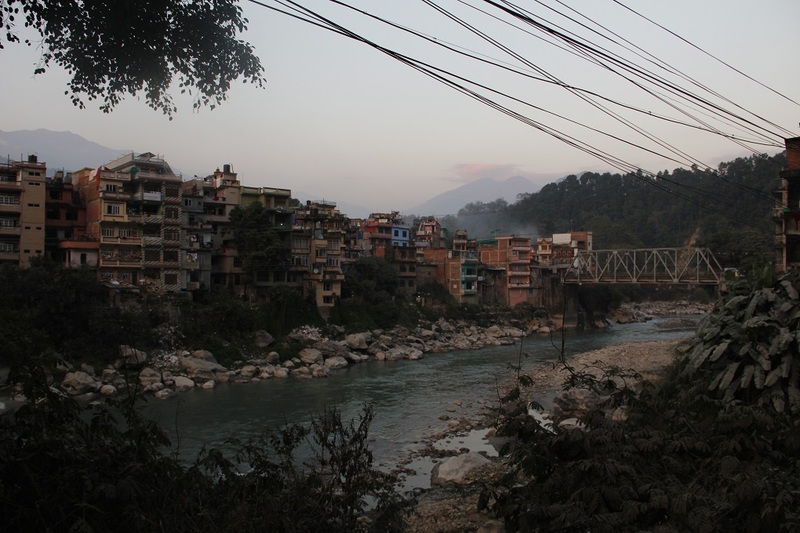 Situated alongside the banks of Trisuli river, some 70 kilometres south west of Kathmandu, the teeming town of Bidur is just a few kilometres upstream of the confluence of Trisuli and Tadi rivers, a spot considered sacred by Hindus. It is the district headquarters of the historic Nuwakot district known for its hot, dry foothills and crumbling Nuwakot darbar built in the 18th century. Located on the banks of the mighty Trisuli river, it is hard to imagine that residents of this picturesque town surrounded by hills and terraced slopes worry about water shortage. But the proximity to the major rivers means nothing because most of the families living on the steep mountain slopes cannot afford the high cost of pumping the water uphill for their daily use. While locals like Paudel and Rijal cite anecdotal evidence of changing climate and the devastating April 2015 earthquake for the changed water flow in local springs, there hasn’t yet been a comprehensive study to assess the actual impact on springs due to the earthquake. However, there have been some recent studies to try to better understand how springs, which are the primary source of water in hilly districts all over Nepal, function and what causes variations in their flow. According to an extensively researched article by Durga D. Poudel and Timothy W. Duex published in the February 2017 issue of Mountain Research and Development, almost 80% of the 13 million people living in the hills and mountains of Nepal rely on springs as their primary source of water. Despite the existence of vast resources, most villages and towns in Nepal are experiencing serious water shortages. Deux and Poudel reported that 73.2% of the springs in the Thulokhola watershed of Nuwakot which drains northward into Trisuli river that were used as water sources had a decreased flow and 12.2% had dried up over the past 10 or more years, as recognised by local residents. The Thulokhola watershed of the Nuwakot district can be considered typical of areas experiencing climate change-related stress in the mid-hill regions of Nepal. As a result, in the past two decades areas never before associated with the lack of water like Ramechhap, Kavre and Dolakha are now reeling under acute water scarcity. In 2017, despite a healthy monsoon that ended late, even water sources located next to community forests dried up. To be sure, droughts and water shortages are not new in the Himalayas. But farmers in Kavre who depend on rain-fed agriculture have had to walk further every day to fetch water. Only 15 of the 65 natural springs in the village still have water. The haphazard construction of roads and urban sprawl have also affected natural recharge points for groundwater, as reported in the Nepali Times. While the neighbourhood of Thumka reels from water scarcity, just a few kilometres further down in Jafati the picture is very different. Here families have plenty of water coming from the springs, enough for their household use as well as to grow fresh produce. Sharada Bogati of Jafati attends to the guests at her home and then does the dishes behind the house. Unlike the residents of Thumka she doesn’t have to wait in queue in the mornings and evenings to fetch water. Here at her backyard, the water gurgles from the black plastic pipe that comes downhill from from a spring. “We grow our own vegetables and also sell the surplus in the nearby market,” says Bogati while her son splashes her with water from a bowl. But she too feels that the water they have could be better managed if they had a larger water storage tank. ICIMOD is currently undertaking a springshed management research in Nuwakot, the mid-hill of the Gandaki river basin. The Gandaki river originates at the Nhubine Himal glacier in Nepal and has a catchment area of 46,300 square kilometres, most of it in Nepal. It flows across Nepal and enters India near the Valmiki Tiger Reserve in Bihar, from where it flows down another 300 kilometres to meet the Ganga near Patna. “We have observed seasonal drinking water scarcity and declining springs in hilly hamlets during our earlier research visit. Taking this into consideration we tried to uptake the springshed management research undertaken in the Gandaki Basin,” says Sangita Dandhekya, survey and data analyst at ICIMOD working on the Himalayan Adaptation Water and Resilience (HI-AWARE) project. The more affluent families who live near the highway across the river or the other towns in Nuwakot have built deep wells where water from the river is pumped to meet their requirements. Nearly 30 families of Jiling ward number 1 which runs along the highway just across Trisuli river have spent substantial sums on digging such wells. Rajendra Chitrakar of Tadi says he has spent more than NPR 50,000 (USD 445) to dig a well so that they don’t have water woes. “We pump about 1,000 litres of water per day from the river to meet our household demand,” he says. “The reliance on expensive water pumps means that we have to pay nearly NPR 4,000 (USD 36) per month just for the operation cost and electricity.” This is a substantial investment for a country that has a per capita GDP of less than USD 1,000 per year, or USD 83 per month. He also adds that they’ve been lucky since many wells dried up in their neighbourhood, but theirs is still working. While studies are being undertaken to understand the reasons behind drying springs and water source in Nuwakot, the locals have no option but to bear the brunt of the water crisis. 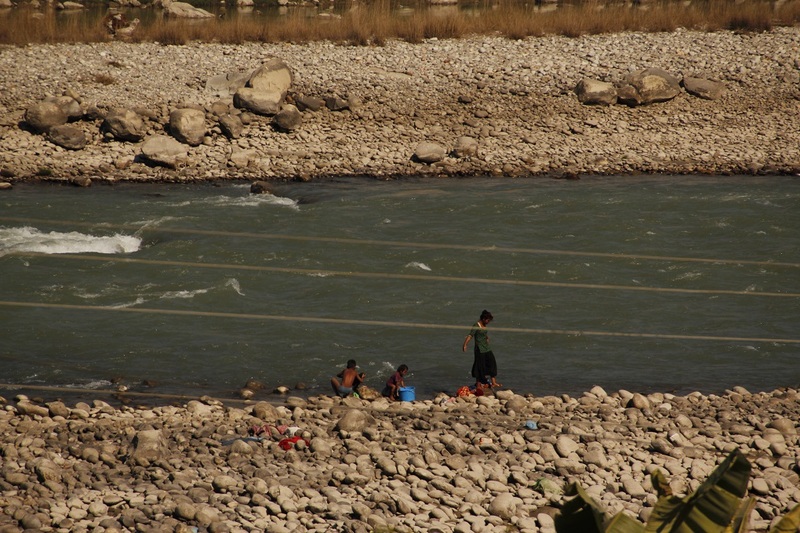 All along the Trisuli and Tadi river banks, women and children can be seen bathing, washing clothes and filling large plastic cans with water that they carry back to their homes up the hill slopes. Bhrikuti Rai is a multimedia journalist from Kathmandu. She is also the co-creator of BojuBajai, a podcast about feminism, media, and Nepal. This article first appeared on The Third Pole. Read the original article.